Keynote speaker David Cottrell is a committed presenter and leader. He is the one who teaches Managers, Directors, Team Leaders and Supervisors – anyone who leads people - how to lead more effectively. David Cottrell knows what is expected from leaders and transmits his messages in a convincing and inspiring way. Speaker and author David Cottrell has created a legacy of leadership excellence. During his three decades of leadership experience in corporate America, David lived the obstacles, frustrations and issues today’s leaders face. 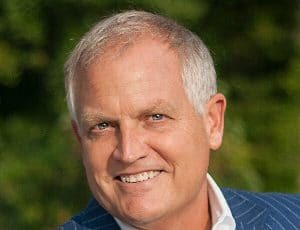 The best-selling business author of more than 30 highly acclaimed books, David has been a featured expert on television and has shared his leadership philosophy and lessons with more than half a million managers and leaders worldwide. 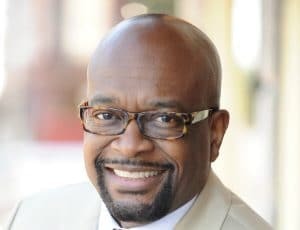 He is currently President & CEO of CornerStone Leadership Institute, one of the nation’s largest publishers of management and leadership resources. David has walked in leaders’ shoes. David started his career as one of the youngest sales managers in the history of Xerox Corporation. After a decade with Xerox, David joined FedEx where he was elected multiple times to the President’s Club. To this day, David is the only person to have been chosen District Manager of the Year for two consecutive years. 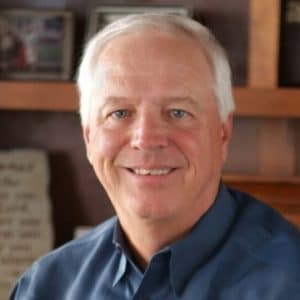 In sales and executive management positions with FedEx and Xerox and the successful turnaround of a Chapter 11 company, David created a legacy of leadership excellence. David’s tremendous leadership achievements were the result of his deep belief that he could expect the best from people by investing in them. His wisdom and sincerity come from one who has “been there.” David’s depth of knowledge and experience make for content-rich learning experiences that few other speakers can match. A speaker, trainer and facilitator for many of today’s most successful organizations, the impact of David’s presentations is immediate and long-lasting. His leadership philosophy and lessons have become the guiding force for some of the top companies in existence today. Laced with energy, humor and audience engagement, his presentations provide practical tips that attendees can use in their everyday lives. Past clients include Walmart, Southwest Airlines, ExxonMobil, Macy’s, Yum! Brands, ClubCorp, Cigna Healthcare, Duke Energy, Land’s End, Aflac, Raytheon and the Social Security Administration. These groups will tell you that David changed not only their perspectives, their energy levels and their attitudes, but he changed their lives. With more than three million copies of his books in print, David is most well-known for authoring the ground-breaking, best-selling books Monday Morning Leadership, Monday Morning Mentoring, Tuesday Morning Coaching, and LeaderShift: Making Leadership Everyone’s Business. His books have been adopted by organizations in numerous countries as trusted leadership training tools. 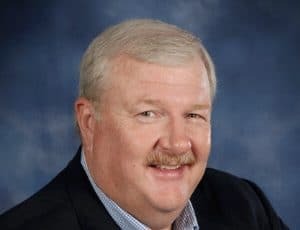 In addition to a wealth of information on leadership, his book and presentation topics include: success principles; coaching; accountability; communication; sales; customer service; presentation skills; and time management. What would be the impact on your organization and your business if every one of your leaders spent dedicated time with a mentor? Now they can. In this program based on his best-selling book, Monday Morning Mentoring and Monday Morning Leadership, David delivers up to 10 key success principles that equip leaders to confront and overcome their daily “people” challenges. The model for leadership has shifted. For sustained leadership success in any organization, every employee must lead right where they are right now. It is not impossible, Pollyanna or wishful thinking. It is essential. In this program, you will learn how to use a successful leadership philosophy: LeaderShift. You will discover how you can create a purpose-driven, leader-supported and employee-led culture … right now. LeaderShift provides a solid foundation for conducting business in a new way—one that aligns the organization around a common set of principles. In this interactive keynote, you will learn that success as a leader can come down to practicing six shifts. Shifts that will help create an atmosphere where any team can prosper. Why does success seem to come easily to some and not to others? Success is ultimately realized by those who make more right choices and quickly recover from their wrong choices. Based on the book Monday Morning Choices, this program creates a foundation for organizational and personal success… how to achieve it, how to keep it and how to enjoy it by consistently making better choices. David Cottrell has spent much of his career seeking answers to what separates the successful from those who fail to reach their level of success. His findings incorporate 12 choices that lead to success. The First Two Rules of Leadership – Don’t Be Stupid. Don’t Be A Jerk. Don’t Be Stupid. Don’t Be a Jerk are the two greatest rules for leaders to achieve extraordinary results with class. Based on his latest book, David Cottrell’s keynote is direct and simple: think your decisions through and take care of your team. It is grounded on solid principles that apply to businesses in every industry. 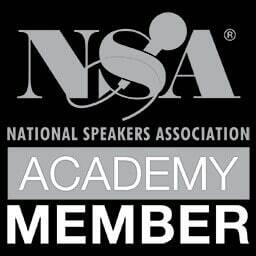 If you are searching for a speaker who will provide your team with tried and proven techniques that improve employee morale, decrease turnover, improve results plus help them have a whole lot more fun leading, this is for you.